The motivation behind my cards, outside of being a creative outlet for me, is to create tangible vintage inspired trading cards for different movies, TV shows and miscellaneous pieces of popular culture that never got trading card immortalization. I try to make cards that, if they had existed, I would have spent my hard earned allowance or bottle deposit collection money (it’s an MI thing) at the counter of the closest party store for as many packs as I could afford. These are cards that I would have wanted to own, to collect, flip through and organize in my childhood bedroom. The above card I not only would have loved to have owned as a kid… I should have owned as a kid. 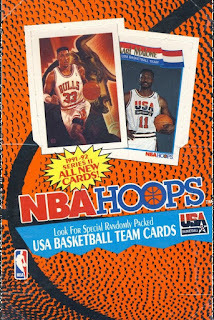 I should have feverishly shuffled through packs of 1991-92 NBA Hoops Series 2 in hopes of pulling this card. Years later I should have been able to seek out PSA 10 Gem Mint graded copies as well as autographed copies of this card for my collection. 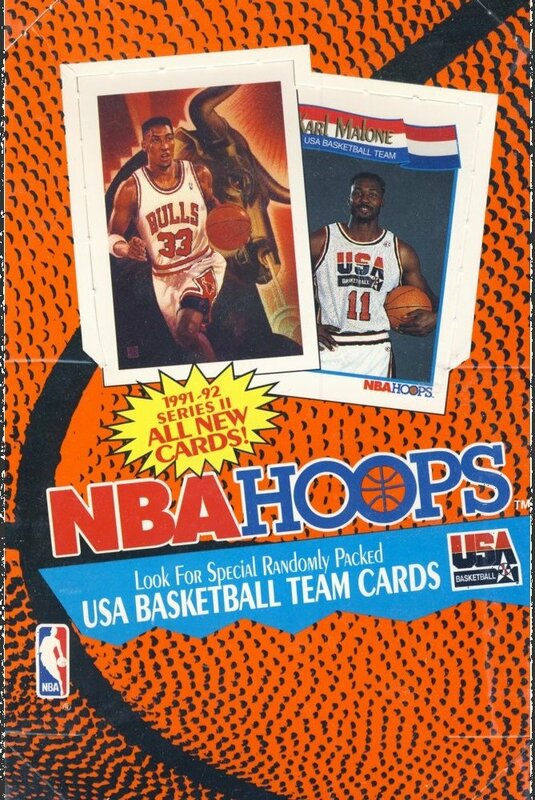 Not only this NBA Hoops card, but versions of this card from all of the other brands of basketball cards. Not to mention the other cool merchandise like posters, jerseys, t-shirts, cereal boxes, Starting Line-Up figures, magazine covers and the list goes on. You see, Isiah Thomas was my boyhood idol. I’ve been collecting everything and anything related to him nonstop since 1988. At this point I could basically curate a museum of Isiah Thomas memorabilia. There are a lot of really cool custom cards out there for sports cards that didn't get made for one reason or another. This card is a bit different. It's not a late season trade, an unheralded rookie or a guy who didn't see much playing time and could hardly justify making a card for. This is a card of a guy who was never on a historic team but had every right in the world to be. In 1988 the U.S. Olympic men's basketball team took bronze in the Summer Olympics is Seoul. Up and through that Olympic Games the U.S. team was comprised of amateurs while other countries were using professionals. Starting with the 1992 Barcelona games USA Basketball has since sent NBA pros to represent them every four years in the Summer Olympic. The team that went to Barcelona, Spain in 1992 was dubbed "The Dream Team". It's without a shadow of a doubt the greatest team ever assembled and anyone who says any different is just being a contrarian. Eleven individuals of this twelve man roster are in the basketball Hall of Fame, all except Christian Laettner, the lone collegiate. Three of the four coaches have been elected to the Hall of Fame as individuals, and the team as a whole was enshrined in 2017. As legendary as that team is for whom was a part of it it's as infamous for the one man that was not. You simply cannot entertain a Dream Team discussion of any depth without talking about the blackballing of Isiah Thomas. In 1991 when the team was selected you could say there were only three players to have more of a claim to be on that team than Isiah Thomas. There was Magic Johnson and Larry Bird who had led the Lakers and Celtics respectively to eight of the ten championship in the previous decade. Then there was Michael Jordan who was arguably the most recognizable athlete in the world at the time. As much as the '92 Olympics were about restoring U.S. basketball pride they were equally as instrumental in marketing the National Basketball Association on a global stage. Michael Jordan was a marketing machine. The team needed him. The problem was he refused to participate if Isiah was a part of the team due to their intense professional rivalry. As deserving as Isiah was of the honor of being named to that team, with that type of ultimatum it's pretty hard to go against "His Airnesses" wishes. The bottom line is that it's criminal that cooler heads couldn't have prevailed. I get that Isiah didn't do himself any favors in his quest to keep Michael Jordan and the Bulls down as long as possible, much like the Celtics had done to Detroit all those years before. The walk off in the 1991 Eastern Conference Finals was most likely the final nail in Isiah's Olympic coffin. Isiah has said looking back that he regretted leading the Pistons off of the floor without congratulating the Bulls in the closing seconds of Game 4 of the ECF, but to play devil's advocate, I can understand how it went down with that Bad Boys team being a prideful group and through the media Michael and his guys were basically shitting on what took the Pistons years of blood, sweat and tears to accomplish. 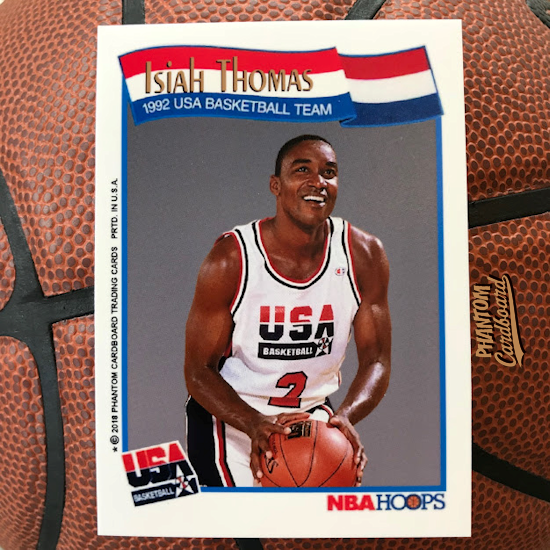 What makes the 1992 snub even more of a sour story is when you consider that Isiah also missed out on an Olympic medal in 1980 when the U.S. boycotted the summer games that were being hosted in Moscow due to the Soviet's invasion of Afghanistan. Most of my cards have an air of comedic parody to them, like a Michael Scott basketball card for example. Not this one. I was serious when making this card. I wanted to bring justice to Isiah's Olympic snub the best and only way I really could. This card is in total homage of what should have been. The picture is from a photo shoot for the 1994 FIBA World Championships which saw a team dubbed "Dream Team II" win the tournaments gold medal. Isiah was named to this team but, as if cursed, he didn't get to compete due to an Achilles Tendon tear in the last month of the 1993-94 NBA season, Isiah's last season before he retired from playing.